With splendidly beautiful interiors, Sadbhav Hotel is an amazing hotel that ensures you a delightful stay. The reception gives you a warm and pleasant welcome with gorgeous and bright interiors. 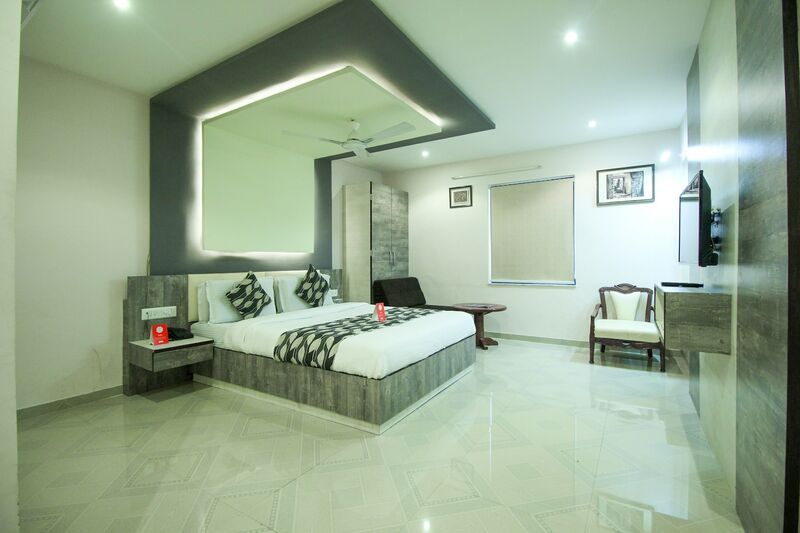 The rooms have unique and ravishing features with futuristic ceiling and wall design entailing LED lights and painted with pastel colour. The furniture is modernistic as well as regal and the cushions have pretty patterns. Fully furnished with essential amenities including a geyser in the bathrooms, these rooms are clean, spacious and well-lit. In addition to this, the hotel provides the guests with facilities like parking facility, CCTV cameras, free Wi-Fi, and laundry service.